Last week we had the pleasure of hosting a RYSing Professionals intern. Humberto is a Richmond resident busting with entrepreneurial energy and the drive to help others. 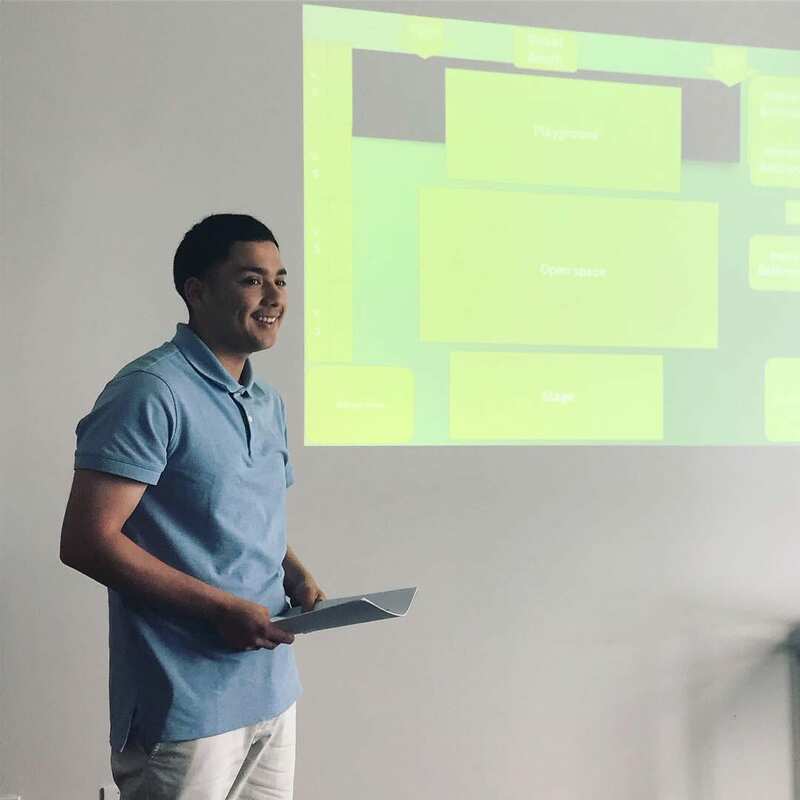 In just three days, he interview our staff, toured Downtown, and developed an innovative business proposal. Humberto’s vision: The MACC – Music Art & Community Center, an outdoor event venue space with a stage featuring a variety of local performances, food & retail vendors, playground, and open space. Great job Humberto! This week we continue our commitment to supporting our local business community by offering FREE workshops, meet-ups, and advising. We are super excited to announce a brand new series all about Small Business Branding. 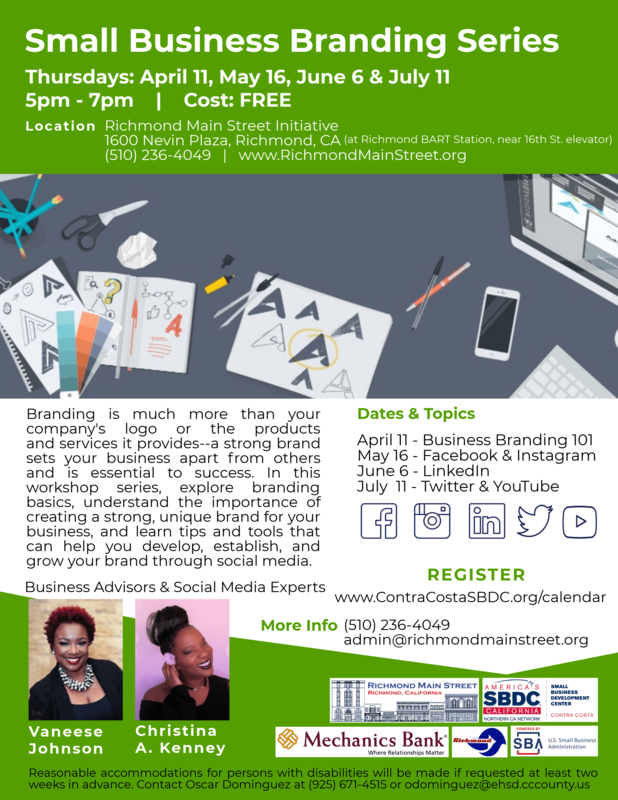 Don’t miss out on the Business Branding 101 workshop taking place this Thursday, April 11…and make sure to save the date for the upcoming sessions featuring a deep dive into branding through social media. The next Business Master Mind for Women Entrepreneurs is Friday, April 12 – and there’s still time to pledge to attend. We just got word that this week’s one-on-one advising sessions are booked, BUT appointments for next month are still available. Sign-up for your May One-On-One Business Advising appointment now! We have more business workshops in the works – a “meet your lender” financial workshop on April 24 and a Small Business Week double header with an afternoon web-presence basics class followed by Richmond Chamber & Main Street Business Mixer at Concourse Education on May 9. Flyers and registration coming soon.